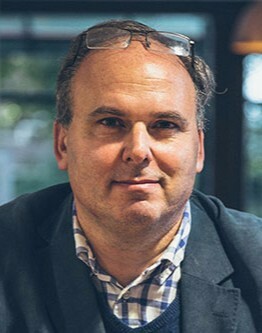 Interview with Tim LeBon for Stoic Week. I’m a psychotherapist, life coach and educator who specialises in CBT and has a long-standing interest in the practical applications of philosophy. I’ve written two books. Wise Therapy is for counsellors interested in how philosophy can inform their work. 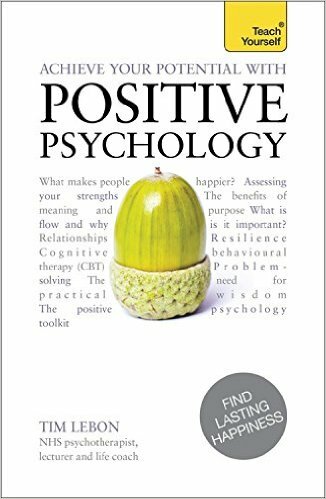 Achieve Your Potential with Positive Psychology is for anyone who would like to discover what the new science of well-being has to offer. I’ve been part of the Stoicism Today project since its early days. My main job has been to design and implement research to determine whether Stoicism helps or not. We have got very positive results, and the more I learn about Stoicism and its positive impact, the more I have been drawn to Stoicism. My background in both philosophy and psychology is pretty broad – philosophically I find elements of Aristotle, Epicurus, the Utilitarians and Existentialists insightful as well as the Stoics. As for psychology, I have trained as an existential psychotherapist and Cognitive Behavioural Therapist (CBT) as well as being informed by Positive Psychology and Compassion Focussed Therapy (CFT) and third wave mindfulness-based CBT approaches. When I’m working with a client I draw on the approach that has the most evidence base for their problem. Where the evidence doesn’t point towards one specific approach I try to find the best blend of approaches given my understanding of their issues. So where does Stoicism fit into the mix? Many readers will be aware that Stoicism heavily influenced the founders of CBT, Beck and Ellis, so in a sense I am making use of Stoicism every time I practice CBT. But there’s a lot more to Stoicism than the nuggets appropriated by CBT. For example, the Serenity Prayer wisdom of distinguishing between what you can control and what you can’t and then focusing on what aspects of your life you can control can be a revolutionary paradigm shift for people people have had an adverse life event – illness, bereavement, redundancy or being dumped. When clients present with depression and anxiety, best practice is to use the most evidence-based approach for their problem, which is often CBT. Even in these cases though, Stoicism can sometimes turn out helpful in quite unexpected ways. One case I remember well was a man who presented with severe and chronic generalised anxiety disorder i.e. he worried a lot. We worked for a few sessions using traditional CBT, and we made some progress. Next session he walked in with a smile on his face announcing he felt completely differently about life. “What’s happened?” I wondered out loud. “Well, I googled you and saw that you were into Stoicism. So then I googled “Stoic videos” on YouTube and, wow, did they make a difference!” With the help of Marcus Aurelius and negative visualisations, this chronic worrier had come to realise that that the things he worried about – money and status – didn’t actually really matter in the grand scheme of things. Stoicism had reached the parts that other therapies could not reach! I first read the Roman Stoics when I was an undergraduate, but to be honest I was put off by some of the metaphysics and seemingly uncompassionate language. Reading Richard Sorabji’s Emotion & Peace of Mind was a real game-changer for me as it clarified how a distinctly Stoic understanding of the emotions could be both plausible and helpful. I wrote a bit about this in Wise Therapy back in 1999. But it was only much later in 2012 when I joined the Stoicism Today team that I got a deeper and more sympathetic understanding of Stoicism, through reading and discussing Stoic ideas and taking part in Stoic Week myself. Trying out the version of Stoicism put forward in the Stoic Week Handbook is a really good way of understanding the ideas better and learning which of the many tools are helpful for you personally. The things that really stand out for me are Stoicism’s focus on wisdom and virtue and its practical exercises. Other Greek philosophies such as Aristotle and Plato were great on theory but much less helpful when it comes to practice. Over hundreds of years the Stoics developed a gamut of tools to help develop wisdom and virtue. The more you go into it, the more you realise the wealth of highly readable books and helpful meditations and other practices that are available. I now see Stoicism as working at 3 levels. At level 1, there are all the exercises you can use without necessarily going into Stoicism at a deeper level – such as the Serenity Prayer, morning and evening meditations, negative visualisation, View from Above and concentric circles of Hierocles. At level 2 you begin to see Stoicism as a complete system, with its own views on what matters in life (ethics), the nature of the universe (metaphysics) and how we should use reason (logic). Level 2 has its benefits and drawbacks. On the plus side, Stoicism is a lot more powerful once you buy into all of its ideas. For example, at level 1 the Serenity Prayer tells you to focus on what you can control. The level 2 Stoic takes this much further as she believes that that the only thing you can really control is your own thinking and action. How exactly should you control your thinking and what should you do? According to level 2 Stoicism, you should live according to the virtues – so you should be wise, courageous, just, self-controlled and have a love of all humanity. This is within your control and, the Stoics add, if you do this, you will also be an excellent and flourishing human being. The Stoics then claim that being an excellent human being is all that really matters – virtue trumps feeling good every time. So if you are upset by something – for example, to take the topic of my 2016 Stoicon workshop, the idea that Donald Trump might be the next US President, you first tell yourself to focus only on those aspects of the situation you can control. You next think about how you can respond virtuously to the situation – which in this case might be doing all within your powers to help those adversely affected by any policies that worry you. It was this kind of paradigm shift that my chronically worried client experienced. Overnight he had become a level 2 Stoic, and that had shifted his perspective so much that he really didn’t care so much about what the Stoics call “preferred indifferents” which had been driven his generalised anxiety disorder. The downside of level 2 Stoicism is that there may well be parts of the Stoic system that you don’t find very plausible or helpful. For myself, I struggle with the idea that virtue completely trumps not feeling bad and that feeling good matters so little. I find it more plausible to see there being a balance between being good, feeling good and doing good. That’s where level 3 Stoicism comes in. Here you integrate the acceptable parts of Stoicism into your own worldview. In effect, that’s what historically Stoics like Seneca did, and it’s what some modern Stoics do too. There is of course the question of how much you have to buy into level 2 Stoicism to be called a Stoic rather than someone who isn’t a Stoic but finds some Stoic ideas useful. Historically Seneca came into the first category and Cicero the second. Personally I find this debate less useful than trying to work out the details of a helpful and plausible Stoic-informed philosophy of life and its attendant practical applications. That’s what I want to focus on, and that’s the direction of my current personal research. I firmly believe we need an alternative to religion to help foster living well. Relativism and pure hedonism are not very good alternatives. Psychology and science can help us learn what techniques work, but philosophy is needed to help us think about what matters in life and the nature of flourishing. Philosophy is needed in the search for wisdom. Stoicism has a large treasure chest of wise ideas and practices. My hope is that if blended with the best of twenty-first century science, psychology and psychotherapy practices it can help us build an effective philosophy for living for the twenty-first century. For many years I was a part-time level 1 Stoic, using things like the Serenity Prayer when I needed them. These days I would say I am an advanced level 1 Stoic, working towards being a level 3 Stoic. For example, recently I’ve developed a little computer application which sends me several emails each day from a database of my favourite Stoic quotes, grouped by theme such as morning meditation, evening meditation, love of humanity, Stoic mindfulness and Stoic wisdom. I think these help me to be a better person, but I consider myself very much a prokopton – a work in progress. Q: What are some of your favourite Stoic quotations and why? What a great opening to The Handbook! No preamble, straight into perhaps the single most useful nugget of Stoic wisdom. Great advice, especially when we think of reason as meaning our ability to stand back and think about what matters most in a situation, all things considered. This might well require training and practice. Yes! I like to include this in my morning meditation to help me think about where I want to head that particular day as well as overall in life. Right again! We won’t become more Stoic or more virtuous unless we commit to it, just as if we were learning a new language or a musical instrument. And how much more important is learning to be an excellent human being than learning these other things? That’s an easy one. My advice is to do Stoic Week if you haven’t done it before. If you have done it before, do it again because, as Seneca says, excellence requires training and practice. Practising Stoicism is by far the best way of finding out about it. You’ll find plenty of suggestions for further reading in the Stoic Week Handbook. I would very much encourage people to come into Stoicism with an open mind. There will be bits you probably find puzzling or hard to agree with. That’s fine. Stoicism is a set of philosophical ideas, not a religion. So decide for yourself which parts you agree with, and use them. I hope you find them helpful. Tim LeBon is the author of Wise Therapy and Achieve your Potential with Positive Psychology.